Bikel made his film debut in The African Queen. 05/29/1975 0282 Just One More Day On his last day on the beat, an old cop has premonitions of his own death in a shoot-out. On the very last day of duty, an aged police officer has the foreboding of his own death in a shooting match. I had the opportunity to meet and be hugged by this giant of a man in the early 1970s. It was after a performance of "Jacques Brel" and I told him I loved him. He wrapped me into his 6'4 or so body and I literally felt any energy in my body leave and go to his. What a beautiful, gifted and talented human being. Shalom, Theo. This means CBSRMT is two degrees from Frank Zappa. I've often wondered why certain actors were only used once throughout the series while others were used repeatedly. Names that come to mind that appeared once are Jack Gilford, Donald Buka, and Theodore Bikel. I know there are more than those three. Perhaps Brown was not the easiest director to deal with for busy actors who worked elsewhere, like my favorite Lloyd Bochner, and perhaps some found out radio just wasn't their cup of tea. After all they could make much better money elsewhere. The repetition of actors also suggests a kind of closed shop where you had to be good buddies with the others or you wouldn't be cast. 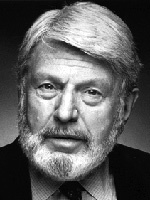 I would like to have heard more of Theodore Bikel, Bochner and others instead of Fred Gwynne so often myself. The gig only paid Union scale of $73.50 per show for each actor, so it was really a sideline for everyone except Brown, and as a result, not something an indemand actor might pursue. However, writers could earn $350 a script, which explains why many known CBSRMT actors also received the occasional story credit...Sam Dann, Ian Martin, William Redfield. They were basically a NYC based crew. Interestingly enough Woody Allen often drew on the same group to play bit parts in his films. He was an Austrian-American Jewish actor, folk singer, musician, composer, unionist and political activist. He appeared in films including The African Queen (1951), Moulin Rouge (1952), The Enemy Below (1957), I Want to Live! (1958), My Fair Lady (1964) and The Russians Are Coming, the Russians Are Coming (1966). For his portrayal of Sheriff Max Muller in The Defiant Ones (1958), he was nominated for the Academy Award for Best Supporting Actor He made his stage debut in Tevye the Milkman in Tel Aviv, Israel, when he was in his teens. created the role of Captain von Trapp opposite Mary Martin as Maria in the original Broadway production of Rodgers & Hammerstein's On Television he appeared on Ironside, Charlie's Angels, Paper Chase, Falcon Crest, Star Trek: The Next Generation, Murder She Wrote, Appointment with Adventure anthology series, The Twilight Zone. He also appeared in Wagon Train, Hawaii Five-O, Columbo The San Pedro Beach Bums, Cannon, Little House on the Prairie, Mission: Impossible, Gunsmoke, Dynasty, All in the Family, Knight Rider, Murder, She Wrote, Fantasy Island, Law & Order, and Mickey Spillane's Mike Hammer.